Why Is the State Department ‘Arming’ Mexico’s Intelligence Agencies with Advanced Intercept Technologies? Amid recent reports that the bodies of four Mexican journalists were discovered in a canal in the port city of Veracruz, less than a week after another journalist based in that city was found strangled in her home, the U.S. State Department “plans to award a contract to provide a Mexican government security agency with a system that can intercept and analyze information from all types of communications systems,” NextGov reported. The most glaring and obvious question is: why? Since President Felipe Calderón declared “war” against some of the region’s murderous drug cartels in 2006, some 50,000 Mexicans have been butchered. Activists, journalists, honest law enforcement officials but also ordinary citizens caught in the crossfire, the vast majority of victims, have been the targets of mafia-controlled death squads, corrupt police and the military. In Mexico, the results will be immeasurably worse; with corruption endemic on both sides of the border, who’s to say authorities won’t sell personal data gleaned from these digital sweeps to the highest bidder? Only this time, the data scrapped from internet search queries, emails, smartphone chatter or text messages grabbed by bent officials won’t result in annoying targeted ads on your browser but in piles of corpses. While Obama administration officials hypocritically washed their hands of responsibility for failing to clamp-down on what journalist Daniel Hopsicker christened The New American Drug Lords, an old boys club of dodgy bankers, shady investment consultants, defense contractors and other glad handers, the violence following drug flows north like a swarm of locusts is fueled in no small part by arms which federal intelligence and law enforcement allowed to “walk” across the border. To McDaniel’s list we can add a fifth element: intelligence gleaned from the latest advances in communications’ technologies. If all this sounds familiar, it should. During the 1980s, as the Reagan administration waged its anticommunist crusade across Central and South America, the CIA forged their now-infamous “Dark Alliance” with far-right terrorists (our “boys,” the Nicaraguan Contras), Argentine, Bolivian and Chilean death-squad generals and the up-and-coming cocaine cartels who had more on their minds than ideological purity. By the end of that blood-soaked decade, with much encouragement from Washington, including a get-out-of-jail-free card for their dope dealing assets in the form of a Memorandum of Understanding between the CIA and the Justice Department, the region was on its way towards becoming a multibillion dollar growth engine for the well-connected. Does history repeat? You bet it does! But which agency has the wherewithal to guarantee that weapon flows from the United States fall into the right hands? More than a few analysts believe that Fast and Furious was an “intelligence” gambit overseen by the CIA. Amongst the firearms allowed to “walk,” according to multiple published reports, were AK-47 assault rifles, Barrett .50 caliber sniper rifles, .38 caliber revolvers and FN Five-seven automatic pistols. Most of the arms purchased with ATF and Justice Department approval went to the Sinaloa or other drug cartels and have since turned up at some 170 crime scenes in Mexico. While field level investigators objected to the operation and voiced their opposition to higher-ups in ATF, they were smacked-down by senior supervisors David Voth. Fun? Try telling that to the families of U.S. Border Patrol officer Brian Terry, U.S. Immigration and Customs Enforcement agent Jaime Zapata or the families of hundreds of unnamed Mexican victims who turned up dead, murdered with weapons supplied by the U.S. government. “During the course of this separate investigation, the FBI designated these two cartel associates as national security assets. [essentially foreign-intelligence agents, or informants]. In exchange for one individual’s guilty plea to a minor count of ‘Alien in Possession of a Firearm,’ both became FBI informants and are now considered to be unindictable. This means that the entire goal of Fast and Furious–to target these two individuals and bring them to justice–was a failure. ATF’s discovery that the primary targets of their investigation were not indictable was ‘a major disappointment’. Brilliant, right? If one were to fall for “conspiracy theories,” one would almost believe that U.S. secret state agencies, like their Mexican counterparts, were favoring one narcotrafficking gang (the Sinaloa cartel) over their rivals, the equally violent and sinister group Los Zetas or the Juárez cartel founded by self-described “Lord of the Heavens,” Amado Carrillo Fuentes. In fact, it wasn’t only the ATF-DEA-FBI that allowed guns to “walk” across the border into the hands of state-connected killers. To the list of the clueless, add the Pentagon. But what if that is precisely the goal of U.S. policy planners and their masters, corrupt American financial institutions like Wachovia Bank or the defense contractors who reap billions from the slaughter? In that case then, the so-called “War on Drugs” is really a war over who controls the drug flow and the fabulous profits derived from the illicit trade. While Colombia continues to be the principle source of processed cocaine entering Europe and the United States, despite some $7.5 billion dispensed to that country’s repressive military and police apparatus under Plan Colombia, wholesale distribution of narcotics entering the U.S. are now controlled by Mexican DTOs. It is a demonstrable fact that Plan Colombia failed to stop the tsunami of narcotics entering the U.S. and that “success” or “failure” in that enterprise was besides the point. As multiple analysts and investigative journalists across the decades have documented, U.S. intelligence agencies, principally the CIA, have cultivated ties and operational links to DTOs and their ruling class enablers, favoring cartels that advanced U.S. geopolitical goals whilst targeting those perceived as liabilities. As with Plan Colombia, under terms of the Mérida Initiative, the U.S. Congress has authorized some $1.6 billion for Mexico and Central American states blown away by the narcotics hurricane. However, much of the funds doled out to Mexican military and police organizations never leave the United States. Instead, as with other “foreign aid” boondoggles these funds flow directly into the coffers of giant U.S. defense firms and will be used to purchase aircraft, surveillance equipment and other hardware produced by the U.S. Military-Industrial Complex. As in Colombia during the 1990s, a similar consolidation process, accompanied by spectacular levels of violence, is currently wracking Mexican society as drug gangs vie for control over the lucrative distribution market and are said to control 90% of the trafficking routes entering the U.S. According to some estimates, approximately $49.4 billion annually pour into the accounts of major DTOs, the Congressional Research Service (CRS) reported back in 2007. However, most studies of global drug trafficking fail to analyze the benefits accrued by major U.S. financial institutions–banks, the stock market, hedge funds, etc.–who have been the direct beneficiaries of the $352 billion in annual drug profits “absorbed into the economic system,” as The Observer reported in 2009. Corporate grifters, profiting on everything from weapons’ sales to surveillance kit have names. In the context of the Mérida Initiative, one firm stands out, the Israeli-founded spy shop Verint Systems Inc.
Like the “War on Terror,” the “War on Drugs” is predicated on the fallacy that “persistent situational awareness” obtained through the driftnet surveillance of electronic communications will give secret state agencies a leg-up on their adversaries. By today’s standards, that IBM mainframe is a throwback to the stone age. With advanced communications and encryption technologies readily available to anyone, and with any number of dodgy spy firms specializing in everything from the mass harvesting of information from social networks to the installation of malware on personal computers and GPS smartphone tracking as the WikiLeaks Spyfiles revealed, only a fool–or a State Department bureaucrat–would believe that weaponized spy kit won’t fall into the hands of billion dollar organized crime groups. Yet that’s exactly what Washington plans to do. That pretty much “levels the playing field” for the Israeli firm and the suite of surveillance tools it offers, the Reliant Monitoring System, which “intercepts virtually any wired, wireless or broadband communication network and service.” Indeed, the State Department plans to “triple the capacity of the current Verint system from 30 workstations to 107,” according to NextGov. Given the spooky nature of the company, no doubt El Chapo is drooling over the prospect. Alexander, a veteran of Israel’s ultra-secretive Unit 8200, the equivalent of America’s National Security Agency, fled to Namibia because he faced a 32-count indictment by the Justice Department over allegations that he masterminded a scheme to backdate millions of Comverse stock options which allowed the enterprising corporate grifter to embezzle some $138 million from company shareholders. But as we know, software and the spy trojans embedded in their code are “neutral.” What can be used by law enforcement agencies such as Mexico’s Secretaría de Seguridad Pública (SSP) and the Agencia Federal de Investigación (AFI) can also be handed over by corrupt officials to their presumed targets, the Sinaloa, Gulf, Juárez, Knights Templar, Tijuana or Los Zetas narcotrafficking cartels, all of whom have ties to Mexico’s narco-bourgeoisie, police and the military. It wouldn’t be the first time that “retired” Israeli military officers or “ex” Mossad men were exposed as trainers for some of the drug world’s most notorious killers. Bigwood reported that Castaño’s IDF trainers emphasized instruction in “urban strategies,” which included the use of fragmentation grenades, RPG-7s as well as “complementary courses” on terrorism and counter-terrorism. A future that encompassed the wholesale massacre of Colombian peasants, union organizers and left-wing activists as the AUC, a wholly-owned subsidiary of the CIA-anointed Cali cartel, founded by Iran/Contra drug kingpins, the Rodríguez Orejuela brothers, engaged in a brutal war to the death with Pablo Escobars’ Medellín cartel in the 1990s. 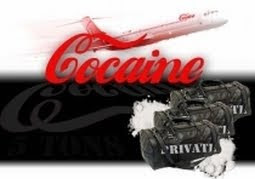 While both the Cali and Medellín cartels have faded into history, cocaine processed on an industrial scale continues to flood out of Colombia and other “legs” of the Crystal Triangle. Control over that distribution network, worth hundreds of billions of dollars annually, much of which finds its way into U.S. banks, is the source of the bloodshed currently tearing Mexico and Central America to pieces. Inquiring minds can’t help but wonder why, if Zambada Neibla’s allegations are so much hot-air, would U.S. prosecutors invoke “national security” under provisions of the Classified Information Procedures Act (CIPA) “in his trial in an attempt to assure certain sensitive and/or embarrassing evidence is not made available to Zambada Niebla’s attorneys”? With hundreds of billions of dollars at stake and a “drug war” that favors one group of cut-throats over another to obtain leverage over corrupt politicians, along with an endless source of funds for intelligence-connected black operations, the Verint deal seems like a slam-dunk. After all, with powerful communications’ intercept technologies in the hands of the Mexican secret state, “national security,” on both sides of the border, is little more than code for business as usual. Tom Burghardt is a researcher and activist based in the San Francisco Bay Area. In addition to publishing in Covert Action Quarterly and Global Research, an independent research and media group of writers, scholars, journalists and activists based in Montreal, he is a Contributing Editor with Cyrano’s Journal Today. His articles can be read on Dissident Voice, Pacific Free Press, Uncommon Thought Journal, and the whistleblowing website WikiLeaks. He is the editor of Police State America: U.S. Military “Civil Disturbance” Planning, distributed by AK Press and has contributed to the new book from Global Research, The Global Economic Crisis: The Great Depression of the XXI Century. Posted in AMERICAN BRAINWASH, CIA + GOVT CRIMES, CORPORADOES, COVERT OPS & INTELLIGENCE, IMPERIALISM, Latin America, OBAMA, Tom Burghardt. didn’t the Israeli’s train the narco-terrorists in Mexico & Central America, and the Norte Americanos…ADL/ATF & ADL/FBI ? So much for the land of the Free and the Brave…pantywaste milquetoast limpwristed “gay” marriage advocates…braindeadgoy. fromthe wilderness, Celerino Castillo..even Bo Gritz…! And in May, 2012, a CIA ‘prisoner plane’ supposedly transporting ‘high level’ detainees to the secret US run gulags, crashed in Mexico. It’s cargo? 4 TONS of cocaine.